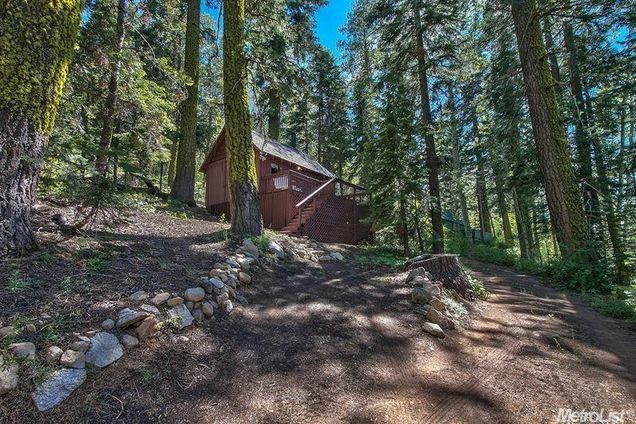 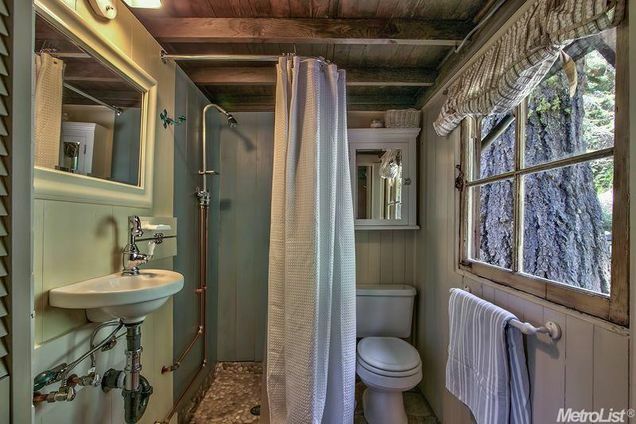 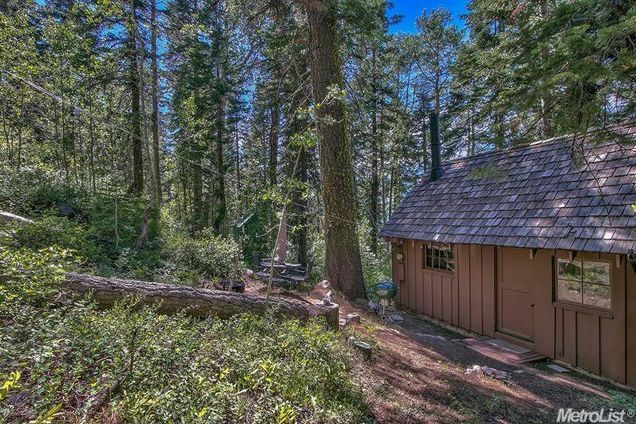 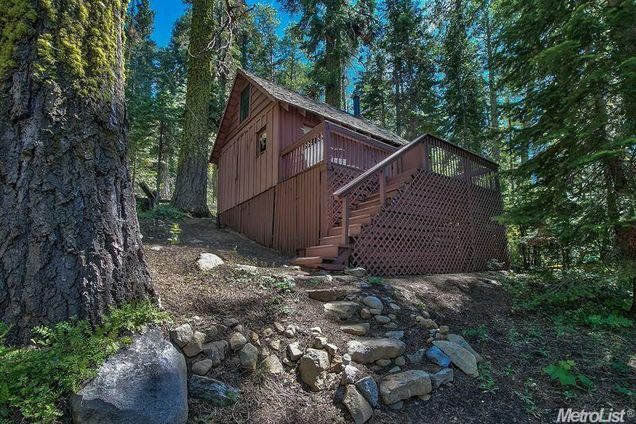 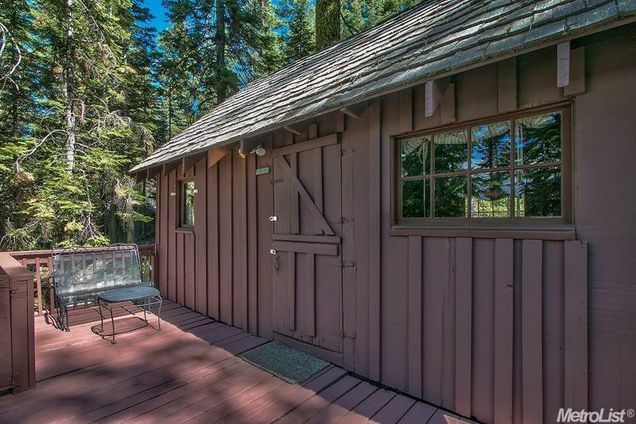 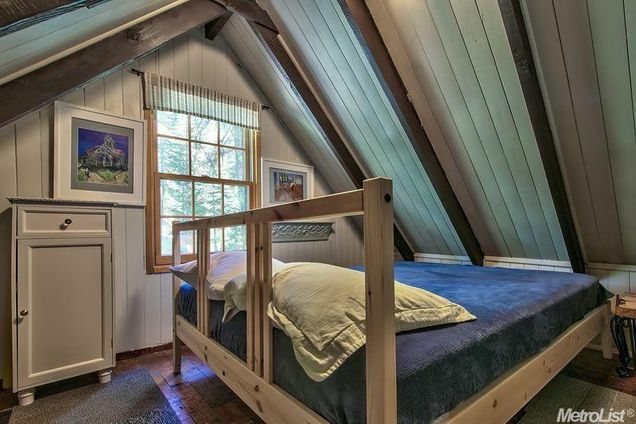 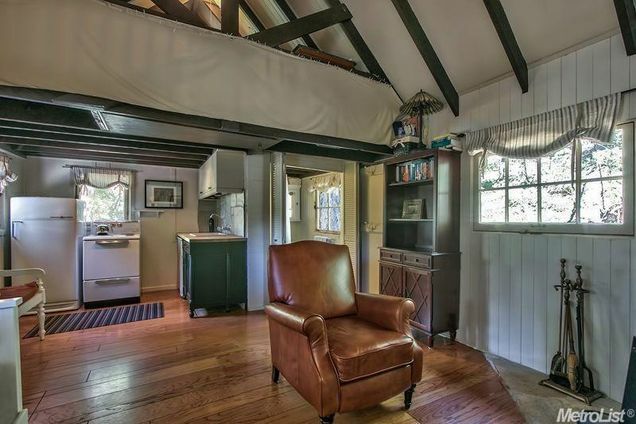 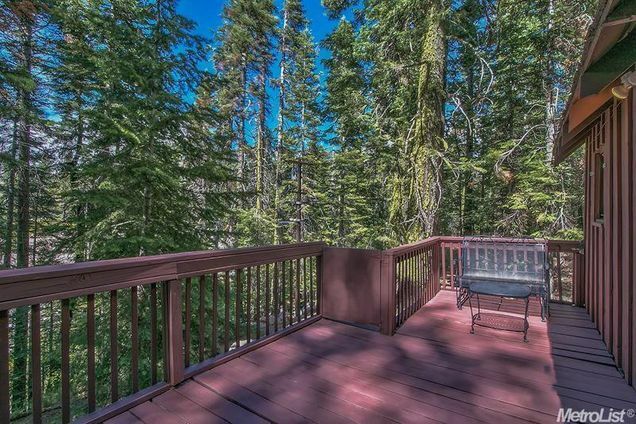 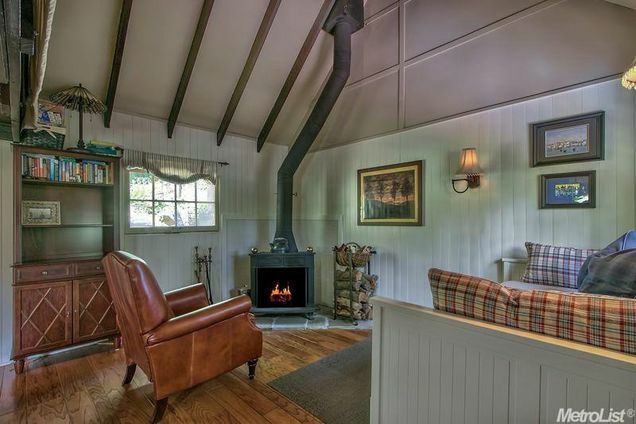 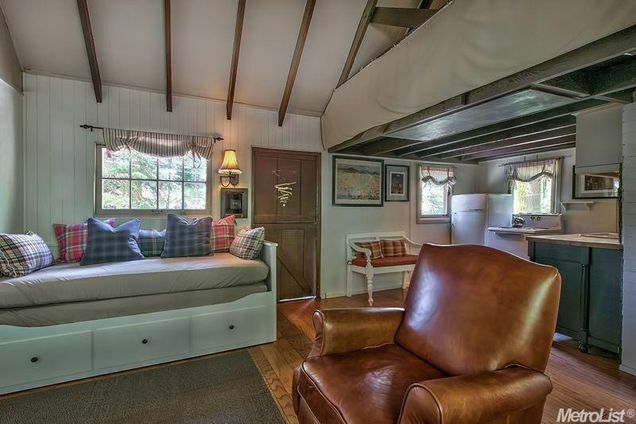 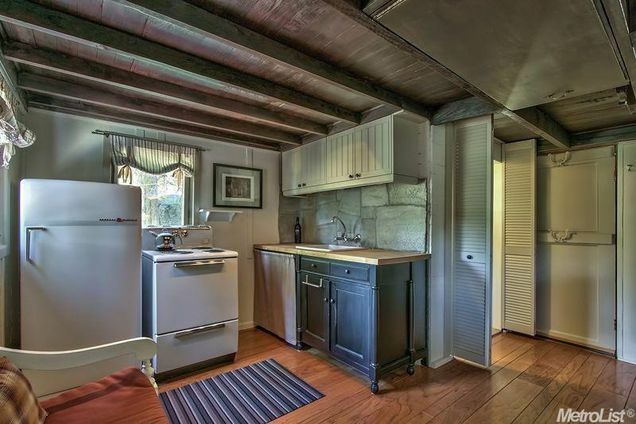 This cozy cabin in Twin Bridges, California, is currently available for sale! 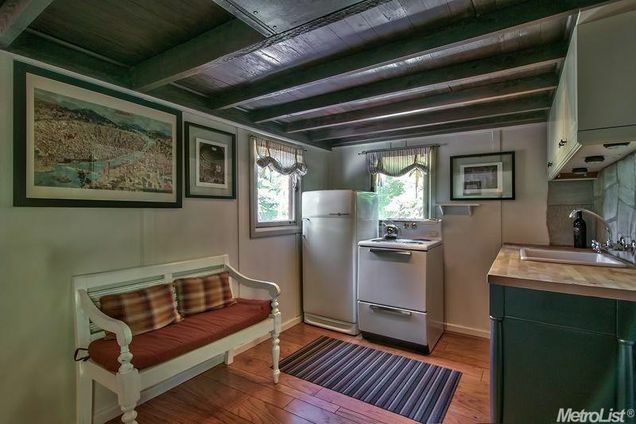 The 361 sq ft home has a kitchen, living room, dining area and a washroom on it’s first floor, and a bedroom upstairs. 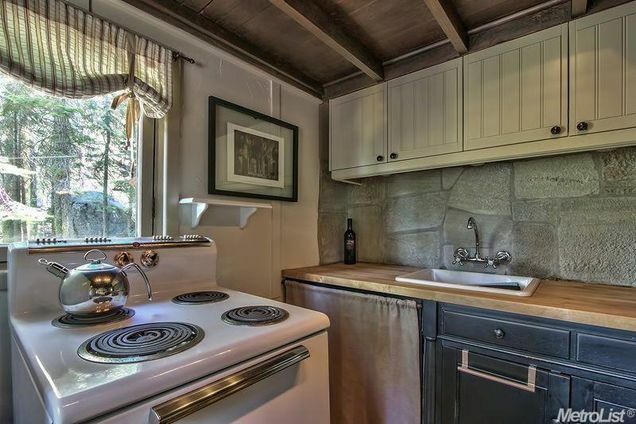 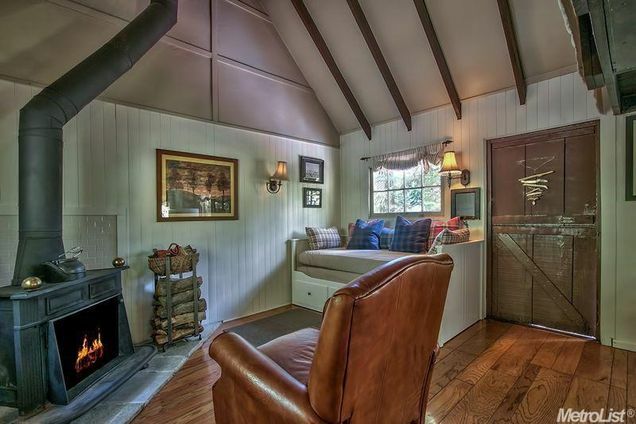 There’s also a fireplace, an outdoor shower and access to the American River for swimming and fishing! 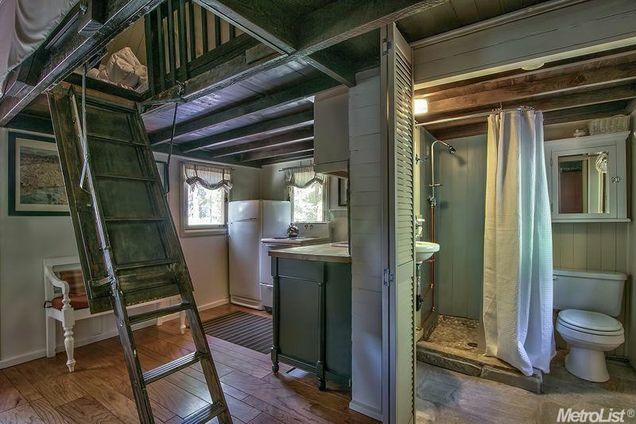 All yours for $70,000. 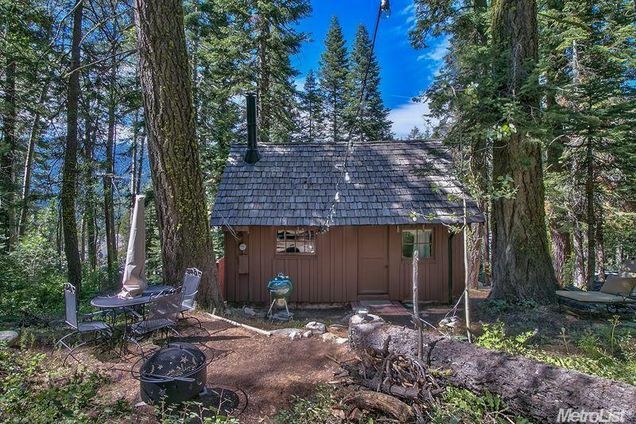 Don’t forget to follow Tiny House Town on Facebook for regular tiny house updates!